Luciano Berio was born in a small town, Oneglia, where his grandfather and his father played the organ in a local church and also composed. While Ernesto Berio was an ardent admirer of the Duce, his son was an equally ardent antifascist – ardent and furious: he could not forgive Mussolini for falsifying music history by suppressing the works of the pioneering composers of the 20th century. Having grown up in the provinces, Berio was in any case handicapped by having been cut off from cultural life but Italian fascism aggravated his isolation by depriving him of access to music which would have been so essential for his development. Berio was convinced of the need for young composers to come to terms with the achievements of their predecessors by studying their scores and writing music in various styles. He owed a great deal to his friend Bruno Maderna (“I learned for instance from the way he conducted Mozart or my works and his own. He had a thorough knowledge of early counterpoint, Dufay and the others, and studied electronic music much earlier than I did”). Berio and Maderna founded together the Studio di Fonologia Musicale (1955) where Mutazioni, Perspectives and Thema (Omaggio a Joyce) as well as Différences were composed. They also established a journal, Incontri musicali (1956-1960) a title which they also gave to a concert series, with Boulez, Scherchen, Maderna among the conductors. Next to his teacher Ghedini and Maderna, Berio also learned a great deal from Pousseur whom he had met in Darmstadt in 1954. “If I look back at those years – he was to say – I feel gratitude to three people: Ghedini, Maderna and Pousseur. After all, I was still the young man from Oneglia and I needed their help to understand many things about music”. Over the years and decades, Luciano Berio grew to become a towering figure in international musical life. Some of his works became a milestone in the history of music – whether works for solo instruments and solo voice (the Sequenza-series), pieces for chamber ensemble (including the Chemins based on some of the Sequenze), orchestra (Sinfonia – with eight voices added to the ensemble - is to this day a representative composition of the 1960’s),chorus and orchestra (Coro being an emblematic treatment of folk music within the framework of a contemporary composition), voice and orchestra (such as Epiphanies), solo voice, chorus and orchestra (Berio’s farewell to composition: Stanze for baritone, male chorus and orchestra) and all his music theatre pieces (Passaggio, La vera storia, Un re in ascolto, Laborintus II…). He never lost his awareness of and interest in his predecessors – hence his reconstruction of an unfinished Schubert symphony in Rendering, his arrangements and instrumentations of Purcell, Boccherini, de Falla, Verdi, Mahler, Puccini, Weill. Neither did he close his ears to music outside the sphere of the concert hall and theatre: he was an admirer of the Beatles and arranged some of their hits. He also orchestrated a bunch of folksongs under the eponymous title Folk Songs which has in its turn also become a hit. 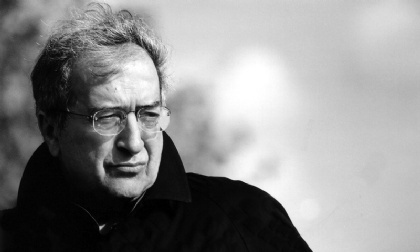 Luciano Berio was conscious of his responsibilities as a member of society. He said he could not understand composers who deluded themselves to be a mouthpiece of the universe or mankind. As he put it: “In my view it is enough if we endeavour to become responsible children of society”. Part two of col legno’s WIEN MODERN Edition is dedicated to Luciano Berio: Chemins I and IIb, Concerto and Formazioni, recorded live at WIEN MODERN Festival 2007. Ekphrasis [Continuo II] (1996), a musical homage to American architects, and Coro (1975/76), Berios renewed quest for the folk song.